The Table Map provides a graphical user interface to view at a glance the status of all tables within the establishment. 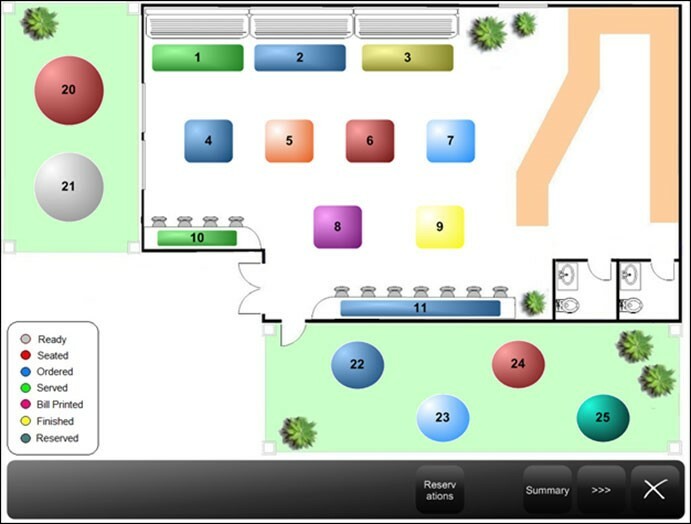 The table map is completely customizable and can facilitate the configuration of many different functions. Each colour represents a different status for the table, which can be custom designed to each install. Bill Splitting allows your guests to split a bill between multiple variations to give everyone the chance to pay what is required of them. The bill can be split in 4 different ways, which are by Fraction, Amount, Cover and Quantity, or a combination of each.